Seven coaches were voted into ITCCCA’s Coaches Hall-of-Fame at the recent Hall-of-Fame Committee meeting. They will be inducted at the annual ITCCCA Hall-of-Fame Banquet, following the Clinic on January 14, 2017. The selection meeting takes place in October each year. ITCCCA by-laws allow the committee to select up to seven members each year. This year there were over 4Annuitant 30 coaches nominated. 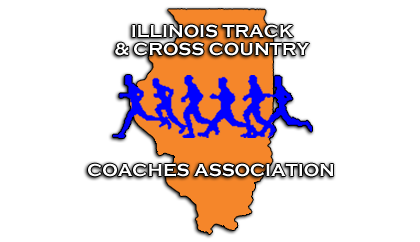 The committee consists of 15 Hall-of-Fame coaches through Illinois. Each region of the State is represented. Each of the candidates was discussed at length with concern focusing on the three C’s – coaching record, contribution to the sports outside of coaching, and character. The committee was faced with a tough task of only selecting seven inductees. Each of the members placed a secret ballot where they were allowed to vote for seven coaches. The votes were cast and counted. Dave Wurster (Prospect High School) Dave Wurster was the head Girls Track & Field coach for 30 years and head Girls Cross Country coach at Prospect for 18 years, until his retirement recently. Dave has coached his athletes to All-State medals on 50 occasions. His teams won the MSL Conference 8 times. They won 10 Sectional Championships and 5 Regional Championships. Six times his teams placed in the top 10 at State. He has hosted many meets and Invites, including Sectional Track and has been a speaker at the ITCCCA Clinic. “Dave has influenced many high school girls. His commitment to bettering each individual, no matter how fast or slow, is unparalleled.” He has served as a strong mentor to several other who have coached.